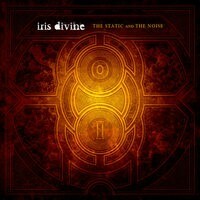 I’m blown away by IRIS DIVINE and their third full length album “The Static and the Noise.” I took on an extra review to help my fellow metal warriors at METAL TEMPLE and what I received was one of the best prog metal albums I’ve heard this year. It is always hard to describe a prog band’s sound to someone but to sort of get you, the intrepid reader, on track I will suggest later day BYZANTINE. Much like them, IRIS DIVINE is progressive in the sense of awesome song writing skills, near impossible musicianship, and songs that fit everything and the kitchen sink into them. However, and this is a problem with some prog rock/metal bands, they never get too out there and trippy. This isn’t prog that will expand your mind or open up a dimension into your oven. No, this is prog that stretches a heavy sound and melody into one battering ram of record that captures an adventuring sense from serious musicians who, I daresay, are having fun. The individual songs are, of course, the main event but the real star is the overall degree of song writing these guys poses; I truly believe prog heads will find more than enough here but also people unfamiliar with the genre could just as easily enjoy this. Another great aspect of this album is that any one member plays with such passion, flare, love, and talent that each of them are worth the price of admission alone. It’s hard to believe all this is created by just three people. The opening track, “Catalyst,” is absolutely crushing. Kris Comb’s snare drum and double bass are hit with a force often reserved for much more extreme bands. Brian Dobbs’ bass and Navid Rashid’s guitar work in tandem to create the core sound of heavy metal waves that bend and breaks against a progressive shore of creative riffs and inventive bass. The fast paced but melodic guitar solo is a highlight of the song as are the groovy, southern styled riffs. The fourth track, “Fractures,” is probably my favorite from the album. It has everything from a catchy chorus to great riffs and well played music. The middle part of the track is epic; after coming off said chorus, the riffs build up, getting faster and faster as Rashid’s screams into the mic. He shows the fury he is capable of here but he isn’t all screams. In fact, he has a lot of different ranges and voices he uses. Sometimes he sounds like a heavier James LaBrie or James Hetfield. His lighter tone has a vague alternative feel to it like Dustin Krensrue from THRICE. If “Fractures,” finds that sweet balance between catchy and prog then the next, and title, track “The Static and the Noise,” steam rolls that over, builds a fortress on top, then nukes the whole thing to hell. The heavy riffs are designed to pummel your head against the wall, offsetting in a way yet another catchy chorus that makes you want to sing out loud. The heavy bass attacks and the almost military precision of the drumming enforces the band’s idea that prog metal can indeed be as heavy any other sub-genre. The last track, “We All Dissolve,” begins with clean guitar but the thumping bass line adds a layer of heaviness anyway. The two opposing forces mix up with the clean vocals into a wind that explodes into a full-blown storm around the three-minute mark. The dagger like riffs continue to speed up, propelled by the frantic bass and frenzied drumming. The song ends on a melodic note and, once the dust has settled, you just want to hit the play button again. Honestly, I can’t find anything wrong with this album. It melds the tried and true sounds of metal with the expansive sounds of prog while still retaining a sense of melody, fun, and even some catchy riffs and choruses. As the year quickly winds down, this album has become a personal highlight for me and should for you as well.